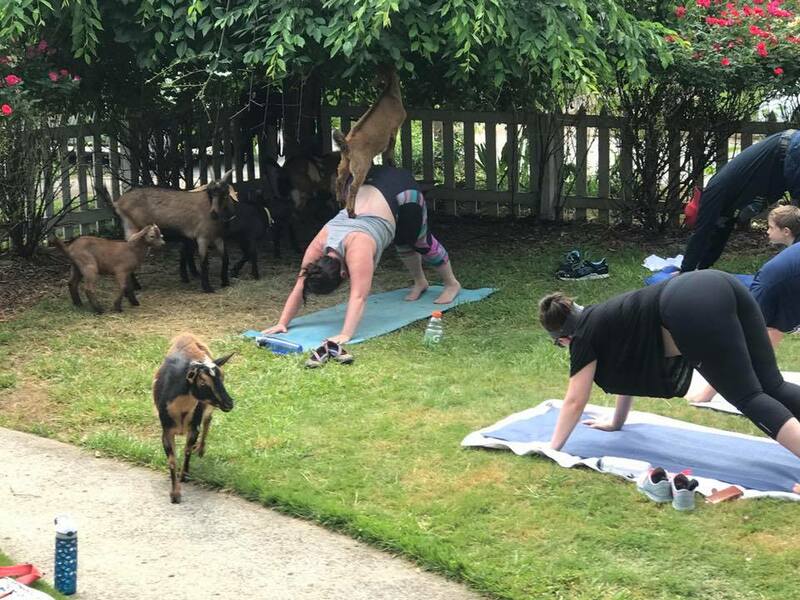 Yoga + Goats. Yes, it's a thing. We will only send emails when classes are added – no spam, ever. 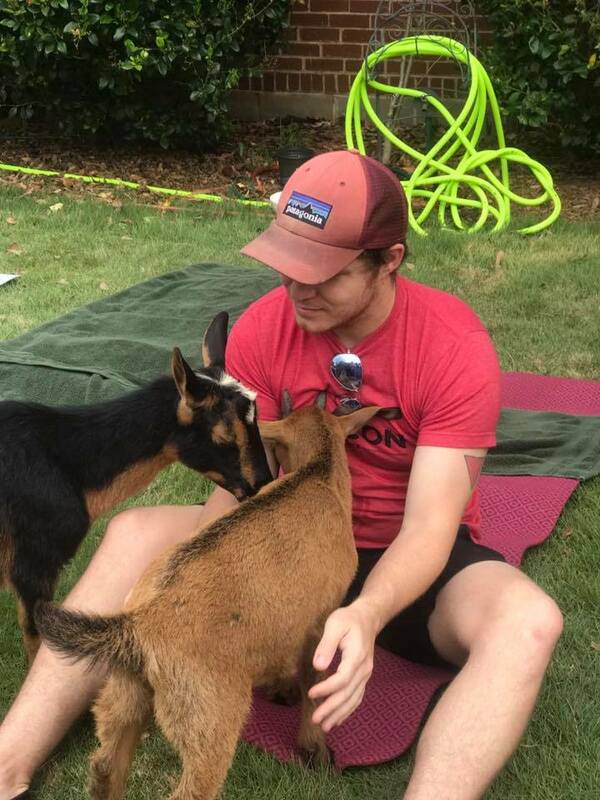 We like to say "when you hold a baby goat to your heart, it melts the broken pieces back together." 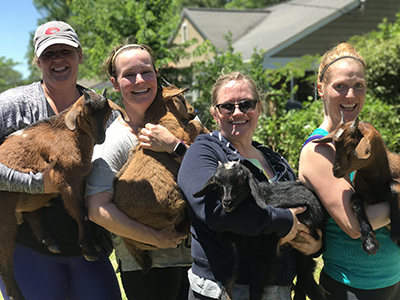 Take the widely-known stress-reducing and mind-body-connecting benefits of yoga, and couple that with the joy, silliness, and unpredictability of hanging out with goats and voilà, the bliss train has arrived. 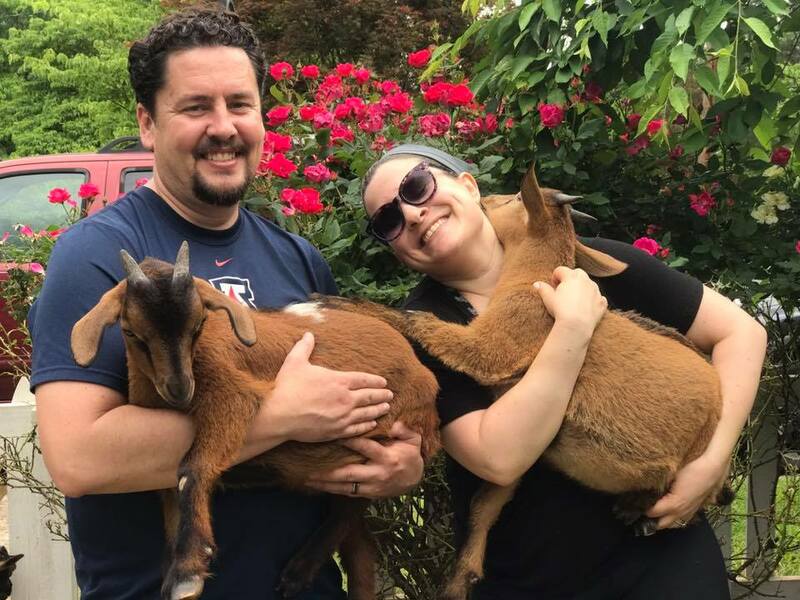 Megan was already a certified yoga instructor when she became a “goat mom,” so naturally people started to ask if she’d consider doing “Goat Yoga” – she and Jason are happy to be able to bring this practice to Atlanta! 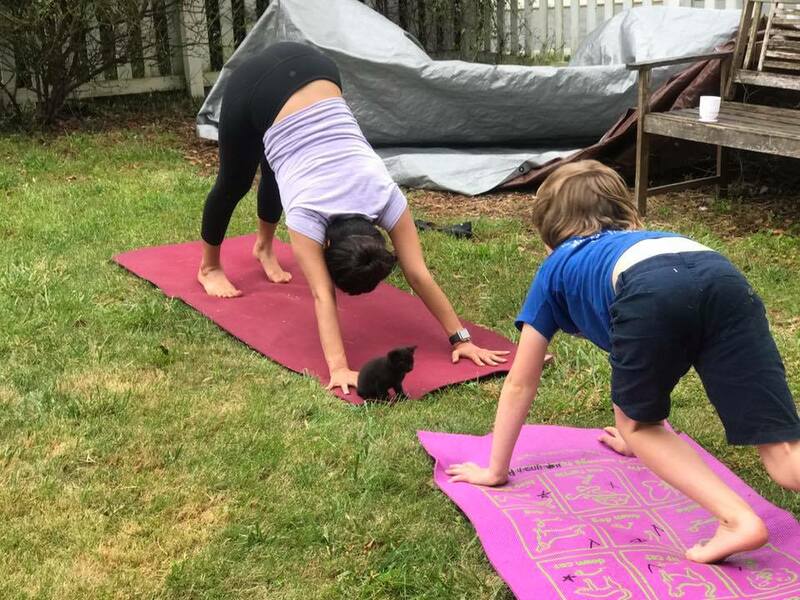 What started as a viral fad, turned out to be one of the most stress-relieving, therapeutic, FUN ways to practice yoga. Yes! We do private parties! Give us a few details and we will get in touch! We do bachelorette parties, birthday parties, corporate team building events, charities — you name it! 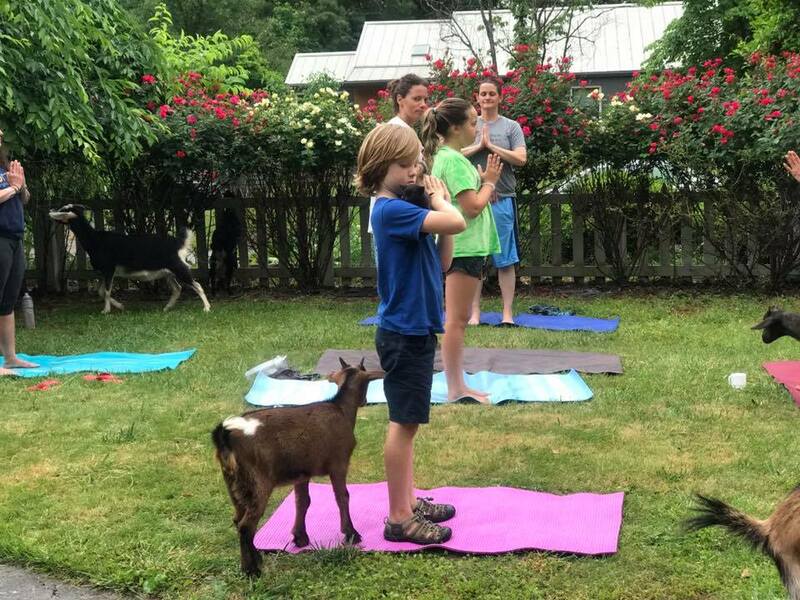 Family-Friendly: We start with a playful 45 minutes of yoga, followed by a half an hour to meet the goats, ask questions, get snuggles and selfies. Tickets are required for all children older than 2 years old. 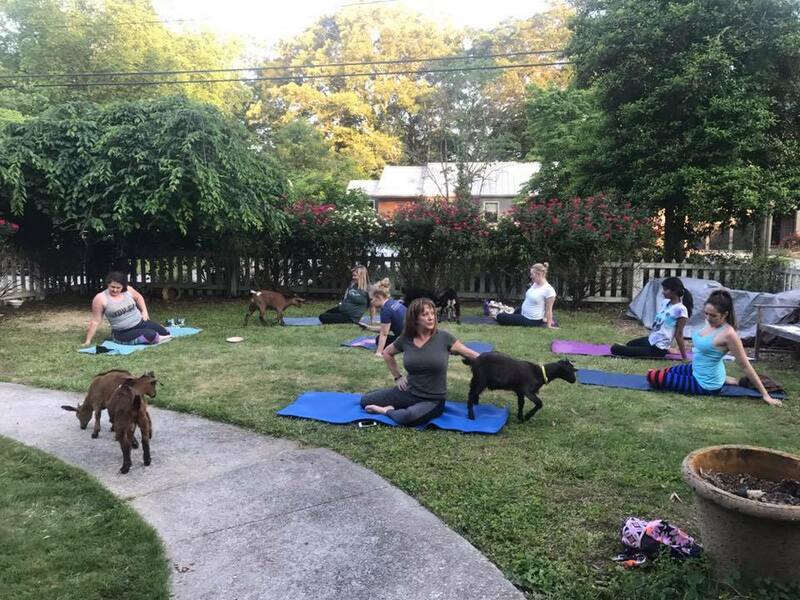 Yoga+Goats+Wine: This 21-and-up class offers a luscious, stretchy hour of yoga, meditation and breath work, followed by 30 minutes of relaxing goat selfies, snuggles, and a "wind down" with chocolate and either wine or mimosas. For the weekend warrior looking to hit the reset button on stress and find some bliss! 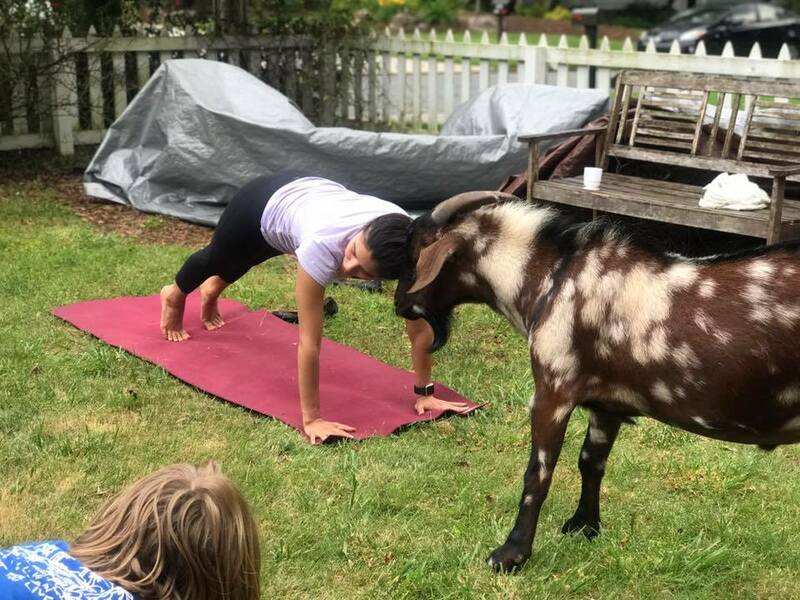 When and where is Goat Yoga? Events are held sporadically, and most of them are held at our homestead in Stone Mountain. We are just outside of Decatur and Clarkston, not far from 285 and Memorial. 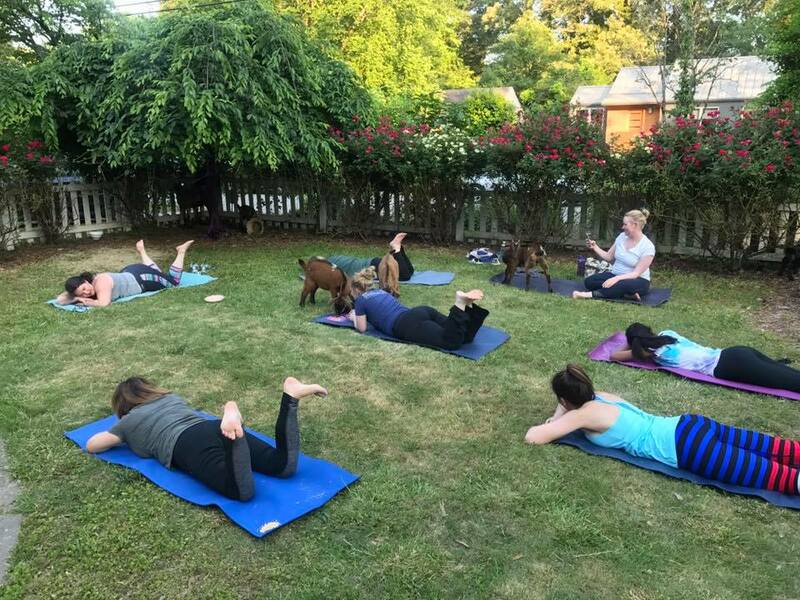 Check out some of the fun we've been having! 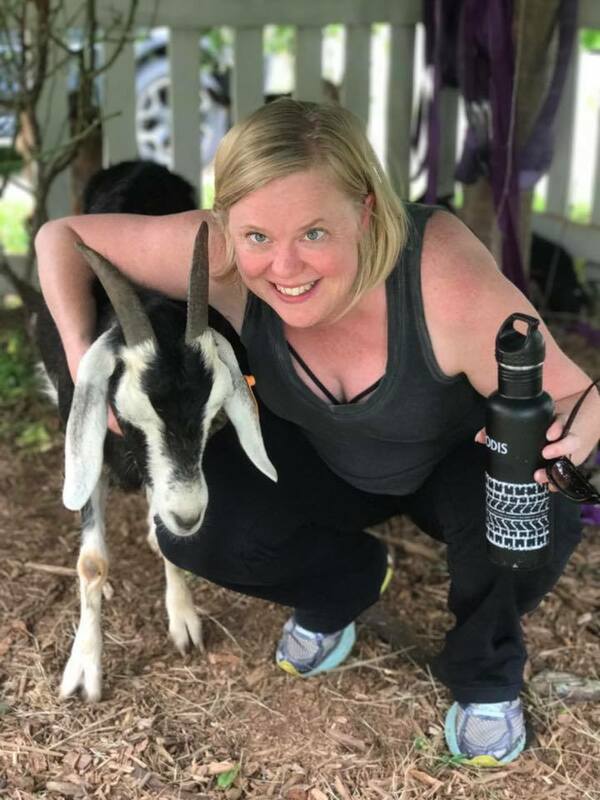 Goat Yoga at Urban Sprouts (Handstands w/ Yogardener). Free smoothies!